Simply install this stainless steel anchorage point - which includes a welded-on supporting tube (Ø 42 mm) - on a pitched roof surface. 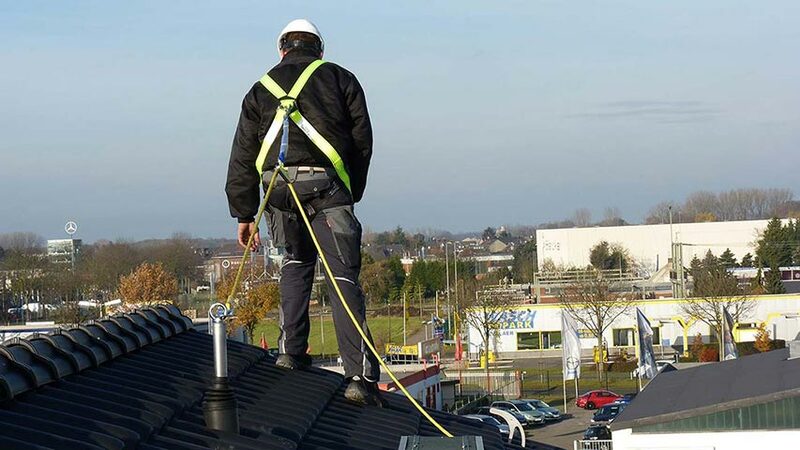 The flexible crossbar, which is screwed onto a wooden beam, allows you to adjust it according to the roof pitch. It is installed using the 4 stainless steel screws supplied and then sealed up using a standard antenna tile. 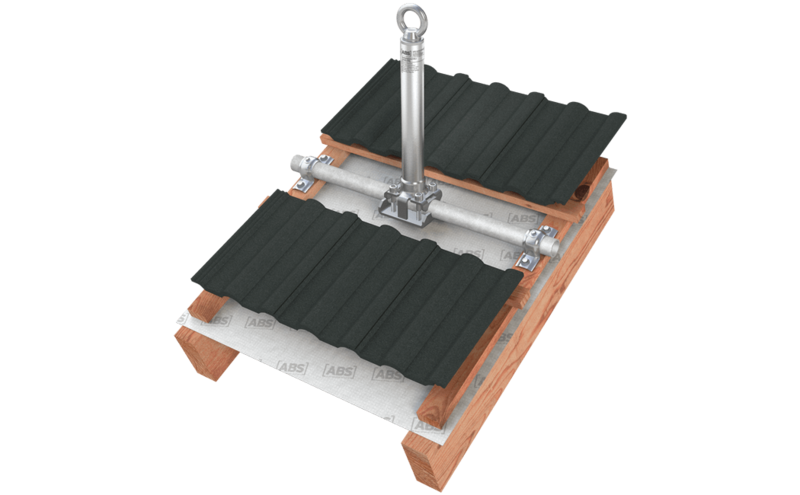 Our stainless steel ABS-Lock SD anchorage point for wooden beams is attached to 2 beams using a crossbar. 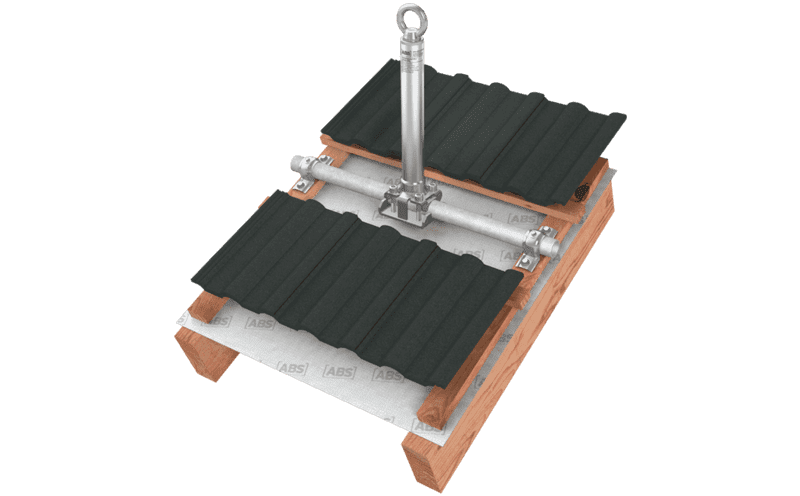 This crossbar is designed to allow the anchor to be adjusted to any desired angle according to the pitch of your roof. The anchorage device rod comes with a supporting tube (Ø 42mm) to provide additional reinforcement - making it a flexible component in your lifeline system. When deployed as a single anchorage point, the system can secure up to 3 individuals simultaneously. The device is installed using the 4 stainless steel screws which come with it. You can set up a temporary lifeline system by combining 2 or more ABS-Lock SD anchors with an ABS Lanyard.